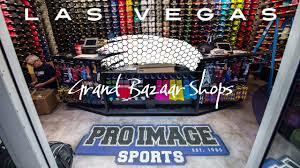 Surprisingly, there are plenty of ways to entertain yourself free-of-charge in Las Vegas. It's great for both visitors who come on a budget and those who suddenly find their credit lines tapped out. 1. Beginning in August, the KA Theatre in MGM Grand opens its doors to the public every Tuesday between 11 a.m and 11:30 a.m. for the ultimate insider tour of the mechanics of this $165 million production. Now we can see how they make them do that trick they do! 2. The world's largest permanent circus can be found at Circus-Circus Hotel, you can watch exciting stunts by unicyclists, acrobats and other trained professionals high above the casino floor at no charge every half hour. 3. On weekends starting at 7 p.m. A Carnival-like parade of dancers and acrobats in spectacular costumes that dance down the Rio's main course hourly during the Masquerade in the Sky at Rio. 4. 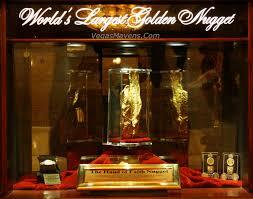 As you might expect, the largest gold nugget in the world is right here in Las Vegas—at The Golden Nugget Casino. The large gold nugget was discovered in Australia around the 1980"s and sold to the casino for more than a million dollars, the 61-pound "Hand of Faith" can be found right by the Gold Tower hotel lobby. 8. Public art is not art that was left behind. It can be found on the 67-acre City Center campus include 15 works by artists such as Nancy Rubin, Claes Oldernburg and Coosje van Bruggen. 9. Within Crystals, City Center's high-end mall, light artist James Turrell has installed Shards of Color—four recessed geometric shapes lit in neon. This colors are sure to get your eyes refocused. 10. But the best secret in Crystals is Turrell's Akhob—an enormous permanent installation inside the Louis Vuitton Maison flagship. It could be described as womb like insert flooded with ever-changing light. It's free with an appointment made through Louis Vuitton. 11. The Cosmopolitan of Las Vegas houses some of the best free art around: The Wallworks—murals by artists like Kenny Scharf and Shepard Fairey— are found on the concrete walls of the parking garage. Which is amazing because we all know how hot parking garages can be.Eight of the light columns at check-in with constantly changing videos. 13. At Wynn Las Vegas, You can find a seven foot two thousand pound Popeye sculpture by Jeff Koons right on the shopping esplanade that Steve Wynn purchased for $28 million, and the giant, mirror-polished stainless steel Tulips (Jeff Koons, $34 million) that sits outside the Wynn Theater. 14. 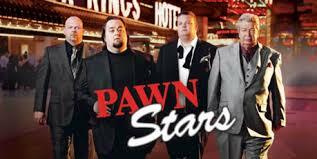 Love Pawn Stars? Line up early to get a look inside the real Gold and Silver Pawn Shop in Downtown Vegas. You may have your chance to be on television with the Pawn Stars themselves. 15. Rick Harrison has opened a kingdom for his devoted followers in the form of Pawn Plaza, a giant shopping center made out of shipping containers with retail and restaurant tenants like a barbecue joint, tavern, Italian ice the is sure to cool off your taste buds. and a poutinerie a cute french cafe. 16. Well people have gotten married at Wal-Mart but Denny's tops the pancake. At Denny's, on Fremont Street. Splurge for the $95 wedding in the wedding chapel the around-the-clock pancake house has conveniently installed (it comes with a cake made of pancakes), or just gawk at it with your family between the hours of 4 p.m. and 10 p.m., when kids eat free. 19. You will end up at the Fountains of Bellagio, A three song mix has been added to the water dance. Music by Tiesto, Celine Dion, Andrea Bocelli and Tony Bennett. 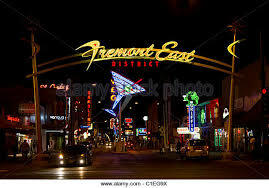 The lights are much more inviting in the early evening or night. 20.Now on the inside of the amzing Bellagio's 14,000-square-foot, skylit conservatory, where 120 horticulturalists, engineers and designers create incredible displays for each season, plus Chinese New Year, with more than 10,000 flowers. These flowers are switched switched out every two weeks to insure the beauty of the designs. 21. Another water masterpiece can be found at Palazzo. The duel floor waterfall and seasonal flowers, is a great place to experience the Las Vegas nature. This amazing waterfall can be found at the entrance of the Grand Canal Shoppes. 22. and 23. Inside the Forum Shops at Caesars, the newly revamped Fall of Atlantis show's giant talking statues and pyrotechnics are fun to watch, but the nearby 50,000-gallon aquarium is even better. 24. The Park has opened on the Las Vegas Strip. The open-air Grand Bazaar Shops has opened a Wahlburgers directly across from Bellagio. 25. Don't miss the massive new Swarovski Starburst, a 14-foot LED-lit crystal starburst that lights up the shops at night. 26. Nearby you can walk along the LINQ entertainment corridor, which runs perpendicular to the Strip, all the way to the High Roller. 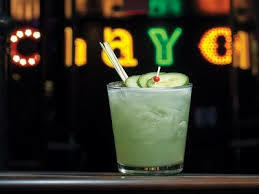 There you can find Chayo Mexican Kitchen, with some of best margaritas off the strip. Taco Tuesday can fill you up with half price taco platters and two for one Margaritas. 28.The volcano in front of the Mirage— with flame shooters, with a bouncing soundtrack, water display and lighting effects. It starts each night at 5 p.m., erupting every 30 minutes until 11 p.m.
29.Check out the Downtown Container Park, a retail, dining and play park made entirely of shipping containers (look for the 55-foot-tall fire breathing praying mantis outside). Find the free entertainment calendar, including a new outdoor family movie series, on the park's website. new neon sign of a 30-foot-tall Pabst Blue Ribbon.